Global Mushrooms is dedicated to leading the way in creating a sustainable future. To us, this means not only tending to the environment, but also nurturing and supporting our local community. 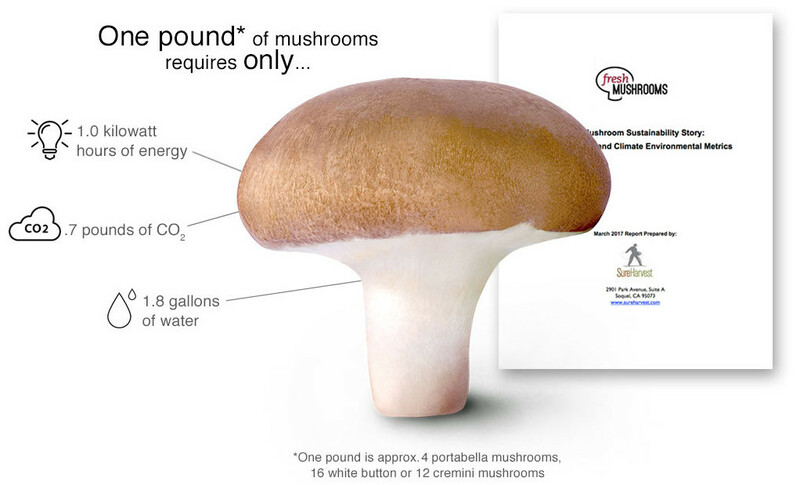 Although we’re proud of the fact that mushrooms are a very sustainable crop to grow, we still set our goals high. Our aim is to rank far below the averages by continually reducing our already light environmental footprint. Our conservation group, a committee of employees who are true stewards of the environment, works in earnest to find new and innovative ways of doing this all the time. Utilizing our founder’s extensive experience in both organic argricultrue and IPM (integrated pest management), we’ve learned how to care for mushrooms without the need for pesticides and/or herbicides, thereby negating any possibility of these products contaminating water supply. Water plays a vital role in the mushroom growing process. For this reason, proper water management is crucial. To safeguard our water and make the most out of it, we’ve implemented a Grey Water Storage System as well as a Water Recycling System that includes lined ponds, biofiltration swales and the land application of wash water. It is our aim to continually do everything that we can to make the most out of this most precious resource. Growing environment: Having the right growing environment plays a key role in reducing energy demands. This is why our new mushroom growing houses use modern construction techniques, including environmental best management practices, as well as superior quality materials that are more durable and longer lasting. Proper management of temperature and humidity: Because managing temperature and humidity is critical to the production of top quality mushrooms, we have advanced heating, ventilation and cooling (HVAC) systems that further minimize our energy resource demands. Once our final mushroom crops have been harvested, all of the agricultural byproducts including the spent substrate (SMS) also known as “Mushroom Compost” along with stumps and any removed stem pieces are recycled. Leaving behind zero waste, this recycled material (which we pasteurize for safety before donating to neighboring farms) is full of nutrients and fungal supression qualities and is an ideal organic fertilizer for field crops or landscaping. We are thrilled that this rich organic matter, a byproduct from our mushroom productions, enables us to give back to our local community. We are actively involved in our local community and contribute by donating nutrient dense compost to neighboring farms, as well as by donating mushrooms to our local food kitchen. Catered to those who want the very best, we grow the highest quality, most gently handled mushrooms available in a wide variety of sizes and packing options. © 2017 Global Mushrooms, LLC, All rights reserved.